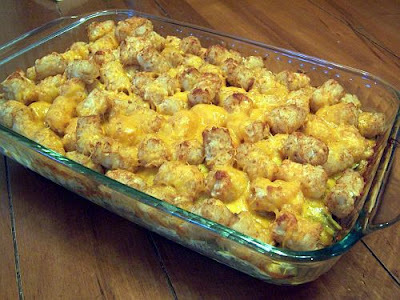 Who would have guessed that such a thing as a tator tot casserole exists? To honor this new found knowledge I decided that a backwards party is in order, for Friday the 13th. This could be very fun. I made it once, Jordan loved it...not me though.